“Websites can serve as the first impression of your company, conveying important and critical information for your customers. 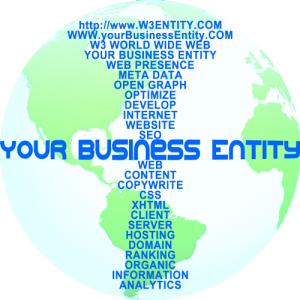 W3 ENTITY® provides online brand exposure and support for establishing and maintaining your businesses online web presence. We develop an online profile providing core data and information to gain the best exposure for trust and validity of your business entity. The individualized web page Meta–data for your website gives you an advantage over free template driven low or no cost website alternatives. The customized Meta-data enables web crawlers to index categorize and efficiently process what your online presence consists of and includes tie ins to social media (Facebook). Most small businesses, startups, and sole proprietors do not have a requirement for paid for SEO/SEM advertising as it is not cost effective for most budgets. 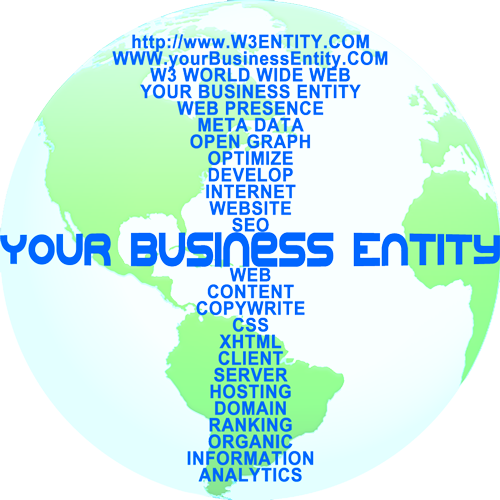 W3 ENTITY® develops your website Meta-data with well established SEO best practices enabling future ventures into SEM (search engine marketing) paid for online advertising and will give you a solid core for search engine ranking organically. 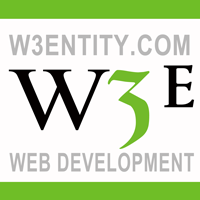 W3 ENTITY® provides a website value package with a focus on the elements that offer a solid foundation to grow your business and captures your customer’s attention. W3 ENTITY® develops a solid core for search engine optimization with the proper well developed important Meta-data elements in mind for a data structure setup for organic ranking. Minimize usage of web elements that may suffer from future degradation by advancing technologies, yet balancing those which ongoing maintenance is outweighed by the advantage offered. While developing your online business presence we translate the information on your brand or product via a thorough review of all the aspects of your business attributes and goals. Let Us Help You with SEO, Analytics, Social Media, and other Web Benefits.